This post explains how the WorkItem Command Line works. It explains its structure and the main classes. This should allow users to extend the capabilities the code and add new commands or extend the current commands. Please note, as this is work in progress, things might change slightly in future versions, however the general structure should persist. Download the code from the post A RTC WorkItem Command Line Version 2. The file with the source code is named WorkItemCommandLine_Project-Vx-YYYYMMDD.zip. The x represents the version number and is followed by the date it was created. The file is an exported Eclipse project. The project expects the Eclipse workspace to be set up as described in the posts Setting up Rational Team Concert for API Development. It requires the SDK to be set up as well as the Plain Java Client Libraries. The SDK is needed, because the project is a Plugin Project. this is done to be able to use the Eclipse Plugin Development Environment (PDE) to look at the API source code. The Plain Java Client Libraries are needed to run the code a Java application. Use the Eclipse import File>Import. 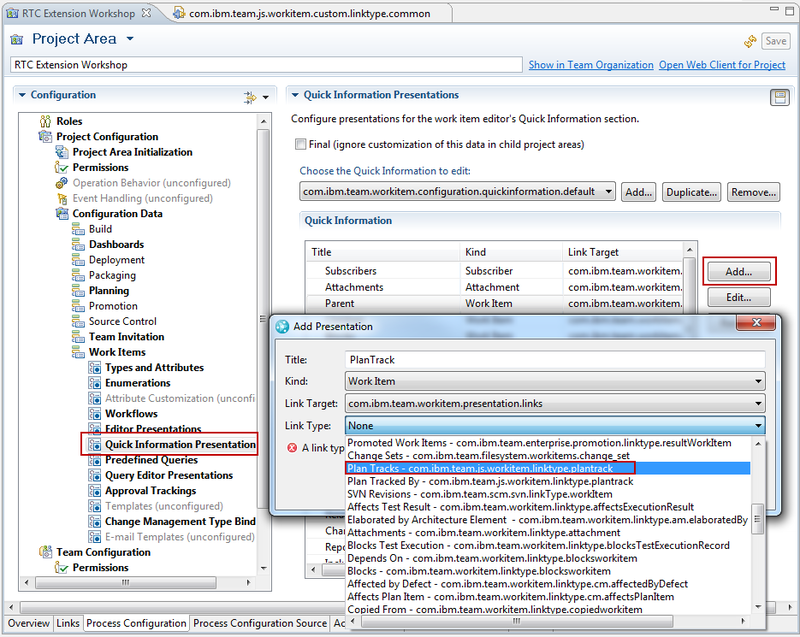 In the wizard window select “Existing Projects into Workspace” in the section General. Click Next and chose the option “Select archive file”, browse to the file you downloaded and select it. 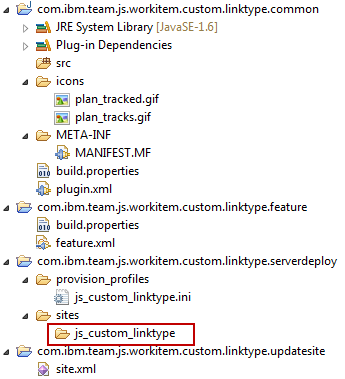 Make sure you see the project com.ibm.js.team.workitem.commandline selected and press Finish to start the import. The first two will show in the plugin.xml and the manifest file. Setup the SDK correctly, or change the minimal versions needed in the dependencies. The third will show as an error in the the build path. Define a user library named PlainJavaApi as explained in Setting up Rational Team Concert for API Development or remove the existing user library entry and add you own. Make sure the dependency order of SDK and user library are correct as explained in Understanding and Using the RTC Java Client API. In case you have other errors you should search the internet for a solution. You can now explore the project. The folder structure is shown below. src – contains the source code files. the root contains a readme file, explaining how to build a releasable version of WCL, scripts used to start WCL in the development setup and a test file for upload attachment tests. The image below shows the structure of the source code. The package com.ibm.js.team.workitem.commandline contains the class WirkitemCommandLine, which has the main method to call WCL. The class OperationResult is used to pass result information. This is necessary, since the code could run in RMI mode and the output needs to be transferred to the RMI client. This class needs to support serializing in order to pass the result back. IWorkItemCommandLineConstants contains various constants used by WCL. The package com.ibm.js.team.workitem.commandline.commands contains the classes that implement the currently available commands. CreateWorkItemCommand creates a work item of a specific type in a specific project area and sets the attributes as provided. PrintTypeAttributesCommand prints the attributes of a specific work item type in a specific project area. UpdateWorkItemCommand finds a work item and updates its attribute values. The package com.ibm.js.team.workitem.commandline.framework contains a basic framework that is used by commands that are implemented in WCL. The main class requires the interface IWorkItemCommand to run the command. I ended up using this kind of framework, because all commands required some kind of parameters. The command should be able to define the parameters needed. The commands also require to do error handling. To interact with the RTC repository commands also need to login. The framework handles all the common activities and allows to create new commands without having to redevelop all this. The class AbstractCommand implements the interface IWorkItemCommand and leaves some methods abstract that extending classes need to implement. The class AbstractTeamRepositoryCommand adds a login to the team repository and the class AbstractWorkItemModificationCommand adds a WorkItemOperation to perform the changes to the work item. WorkItemCommandLineException is the exception class that is used to wrap other exceptions and thrown in case of unrecoverable errors. The package com.ibm.js.team.workitem.commandline.helper contains helper classes. The class DevelopmentLineHelper is from another blog post Handling Iterations – Automation for the “Planned For” Attribute. It allows to find development lines and iterations on a development line. WorkItemHelper implements modifying work item attribute modification. Most of the RTC API related code is in there. WorkItemTypeHelper helps with printing the attribute information for a work item type. The package com.ibm.js.team.workitem.commandline.parameter contains classes that implement all the parameter handling needed. The class Parameter is used to describe a parameter, if it is required, if it was already consumed, if it is a switch and the like. ParameterIDMapper defines a list of aliases that can be used instead of an attribute ID. You can add your own aliases that can be used for convenience. ParameterList represents a list of parameters. The class ParameterManager manages a parameter list and provides the central access to the parameters. The class ParameterParser is used to parse the parameters passed from outside and store them in a parameter list. The package com.ibm.js.team.workitem.commandline.remote contains the remote interface IRemoteWorkItemOperationCall that is used in RMI mode. The package com.ibm.js.team.workitem.commandline.utils contains some utility classes (providing static methods as interfaces). The class ProcessAreaUtil allows to search process areas. The class SimpleDateFormatUtil helps with conversion of timstamps from and to a string representation. The main method of the WorkitemCommandLine basically instantiates the class and then calls the method run(). We will look at that method later. The operation run() will return a result if it terminates. The information in this result is used to create the exit code to terminate the call. In case this WCL is started as RMI server, the process can not terminate with System.exit(). It needs to persist registered to the RMI registry. The static method isServer() is used to communicate this information. The method run() parses the parameters passed. It then checks if it is supposed to run as RMI server or as RMI client. If that is the case it starts the RMI server mode or, uses RMI to call the server as client. If this is a normal run, it calls runCommands() with the parameters that have been parsed. If started as RMI server, the method startRMIServer() is used to initialize RMI and to register the class to the registry. The method runOperation() is basically the interface that is used to run the command on the server and is called by RMI clients. The method runOperation() parses the parameters and calls runCommands() as well. The method runCommands() really executes the command requested in the parameters. The first steps it does is to initialize the data it needs. Then it runs addSupportedCommands() to add the commands that are available. Now the method runCommands() gets the command from the Parameter Manager. If there is a command string, it gets the class that implements the command. If there is a command registered for this command string, runCommand() calls the command to validate if the required parameters for it to run are available. If this is the case, runCommand() calls the command and returns the result back. In all other cases runCommand() prepares a result error and also uses the method helpGeneralUsage() to print a help for the command. It is easy to add new commands to the WorkitemCommandLine. You need to implement a new command and add a new entry for it in the method addSupportedCommands(). Commands have to implement the IWorkItemCommand interface. You should pick one of the abstract classes in the framework and extend them. This makes sure the basic workflow will work. If you command needs to create or modify a work item based on property values, use the class AbstractWorkItemModificationCommand. If you only need to have a repository connection, use the class AbstractTeamRepositoryCommand. In both cases all you need to do really is to override and implement the methods required. There are three things that need to be there. In the method getCommandName() you need to return the name of the command you implement. Parameters added with syntaxAddRequiredParameter() will be assumed to be required. If they are not available the command line will show an error during the parameter validation. The error message is automatically created from the parameter information provided here. Finally you have to override and implement the method process() to implement the command. To complete the code of this command, here is the method that creates the work item and uses the parameters to update the attributes. * Create the work item and set the required attribute values. throw new WorkItemCommandLineException("Work item not created. " does all the work. By calling it this way, the WorkItemOperation creates the work item. The operation is based upon the code in the class AbstractWorkItemModificationCommand. // run the special method in the execute. // This is called by the framework. The call to the method update() does the real work. It walks through all the unconsumed parameters in the parameter list – which should contain the attributes and values to be set and applies the changes to the work item. *            the workingcopy of the workitem to be updated. + propertyName + " Value " + propertyValue + " \n"
This class is basically doing all the work related to modifying work item data. The helper needs to be instantiated. Then the method updateProperty() can be called. The method checks if the attribute is one of the special ones like the type, or complex attributes such as workflow or state changes, approvals or other pseudo attribute ID’s and handles these if detected. Otherwise it calls the method updateGeneralAttribute() to handle the update. The method updateGeneralAttribute() checks if this attribute is actually available on the work item. If so it calls getRepresentation() to get a value that can be set for the attribute. The method getRepresentation() basically is a huge list of checks to narrow down what type the attribute to modify is. If the type is narrowed down, it calls a related methods to parse the input data and to create a value for the attribute, that can be returned and set. This post explains how the code works and how you can utilize it to implement your own commands. As always, I hope that helps someone out there. While creating this post, I realized, that I should have named some of the classes differently. This framework is not only good for a work item command line. This code could be used for any command line. Maybe I will adjust this a bit in later versions, should time permit. After publishing the first version of the RTC WorkItem Command Line I realized several things that users might want to do that were not supported. So I updated the version to 2.0 and added these capabilities. I also found an issue with setting string lists, which is also now fixed. This post, like the previous, provides a simple Work Item Command Line Client and explains the usage. It comes with code, so you can also enhance it if you need more features. This version of the RTC WorkItem Command Line is complete as far as I am concerned. It still supports work item creation and update. It now supports all attribute types and the link types that I think can be supported. The missing Item types are now supported. It now supports several modes to modify the work item properties such as set the value, add to the available value or remove data. It supports the RMI client mode to delegate requests to the RMI server portion. The WorkItemCommandLine – in short WCL – works on Windows and Unix clients. It requires a JDK and the Plain Java Client Libraries to be installed. Please note, I had issues running the Plain Java Client Libraries with just a JRE. You can try to use a JRE, if you like. The WCL allows to set and update all available attribute types (I am aware of) in RTC 4.x up to 5.0.2. This works for built in attributes as well as for custom attributes. This should be sufficient for most of the automation needs, especially during builds. The WCL supports RMI where the WCL runs as a RMI server and WCL can delegate calls to that server to have them processed. This only requires starting the team platform once and saves several seconds in subsequent calls. Download the packaged executable application. The file is compressed and will be named like wcl-Vx-YYYYMMDD.zip. The x represents the version number and is followed by the date it was created. If you have installed an RTC API development environment following the RTC Extensions workshop and this post, you have all else that is needed and can use the installs folder of your extension development install, for example C:\RTC401Dev\installs. Extract the file e.g. using 7Zip to a folder, for example C:\RTCWCL (or C:\RTC401Dev\installs). The destination folder should now contain a folder wcl. If you don’t have an extension development environment set up, download and install the Plain Java Client Libraries for your version of RTC. Open the All Downloads tab of the RTC version you are interested in. For example https://jazz.net/downloads/rational-team-concert/releases/4.0.1?p=allDownloads and scroll down to the Plain .zip Files section. 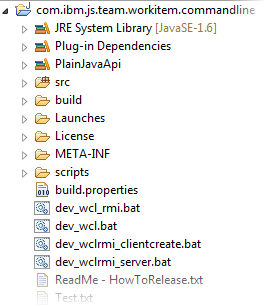 Download the Plain Java Client Libraries file. Use 7Zip and unzip the Plain Java client Libraries download file (for example named RTC-Client-plainJavaLib-4.0.1.zip). Use 7Zips Extract Files command and provide the extraction Path C:\RTCWCL\PlainJavaAPI . If you don’t have an extension development environment set up, download and install a Java JDK. 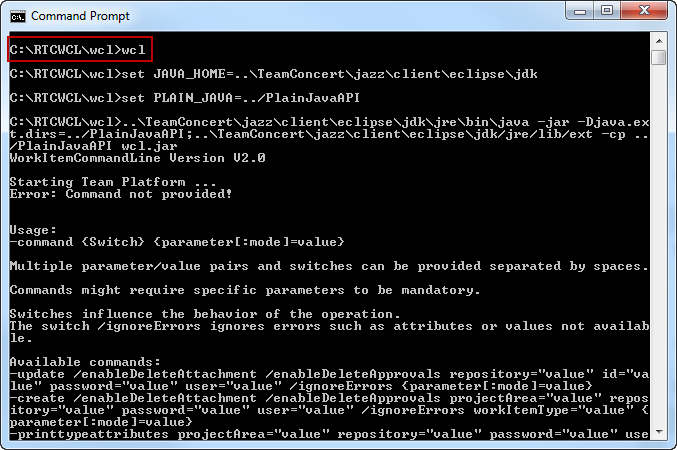 If you have the Rational Team Concert client installed a compatible JDK is available in the install location e.g. TeamConcert\jazz\client\eclipse\jdk. 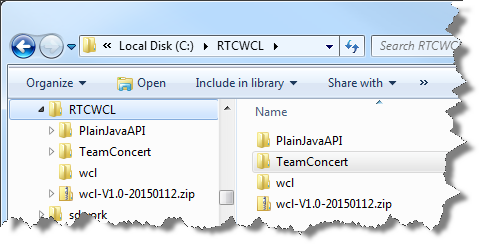 The easiest way is to download the zip version of the Rational Team concert Client and extracting it to C:\RTCWCL\TeamConcert. The folder should now look similar to this image. 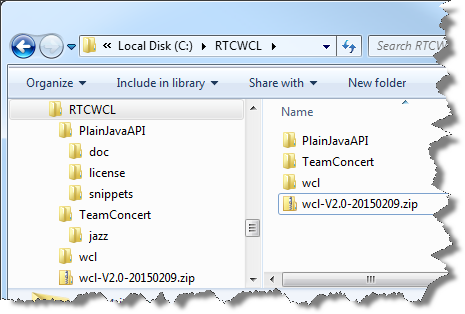 If you downloaded a different JDK or have the RTC Eclipse client installed in a different location, follow the next steps to adjust the WCL to the different paths. The scripts assume an install structure where the JDK and the Plain Java Client Libraries are installed like in the image before. If your setup uses different paths, adjust then according to your setup. The scripts for usage with RMI only add a statement to the rmi_no.policy file. On Unix operating systems chmod the shell scripts so that they are executable and the RMI policy is readable. You should now be able to run the WorkItemCommandLine. In order to allow RMI to work, WCL requires a policy file. Modify the file rmi_no.policy to your requirements and make sure it is in the same wcl folder on the server and the client. Make sure the policy file it is readable for the user that runs WCL. Open a shell or cmd window. change the directory to where you extracted WCL for example C:\RTCWCL\wcl. Type wcl and run the WorkItemCommandLine. The command should be executed and print help content like below. If this does not happen, make sure the paths are set correctly and the JDK is compatible. The README.txt is provided as help for convenience. The commands have their own requirements for base parameters such as repository URL, users, password and the like. ignoreErrors allows to successfully perform the create and update command if minor errors happen. Errors covered are for example if an optional attribute or its value was not found. If the flag is provided, WCL will continue to perform the next operations and print the error. If the flag is not provided any error will cause the operation to fail. enableDeleteAttachment enables deletion of attachments using the set or the remove mode. enableDeleteApprovals enables deletion of approvals using the set or the remove mode. rmiServer is used to start the RMI server, see the RMI section below. Values for are usually the ID of a work item attribute. The WCL defines various pseudo attribute names, typically prefixed with an @ e.g. to create links and upload files as attachment. The reason for the prefix is that RTC does not allow to start attribute ID’s with special characters and this makes it impossible to define custom attributes with conflicting names. The parameter sections = must not have spaces in the or in the or before or after the =. The value of , or the whole term can be enclosed in quotation marks “. Each parameter can only be used once in the command line. In some cases like attachment uploads a special section needs to be added in the parameter to allow for multiple specifications in one call. The WCL also has an alias mechanism built in, that allows to map different external names for attributes to the internal representation. Currently the names of the AttributeCustomization described here are built in. This allows, for example, to use FOUND_IN=”Sprint 2 Development” instead of foundIn=”Sprint 2 Development”. You can add your own aliases if needed. The s are specified by a string. Parameter values are usually the display value of elements (enumerations) or composed of display values of the path to this item (category, iterations, process areas). For example setting an enumeration attribute would use the display name “High”, instead of the literal ID. This makes it easier to use. In some cases e.g. for links, subscriber lists and other user lists, it is necessary to specify the ID of the element instead of the display name. Work item attribute values of List with a specified item type such as userList. Use the separator ‘,‘ like in “value1,value2,…,valueN” to separate values. Each having the form : with no spaces allowed in the value list. ProjectArea – specified by its name. TeamArea – specified by its name path from the project area to the team area. ProcessArea – specified by the name path from the project area to the process area. Category – specified by the category path. User – specified by the users user id. Iteration – specified by the iterations name path (including the development line name). WorkItem – specified by the work items id. SCMComponent – specified by the Jazz SCM components display name. Supported values for are default (no mode specified), add, set and remove. If no mode is specified, the default mode for the parameter is used. Example for default mode: summary=”This is a summary.”. Example for add mode: summary:add=” Add this to the summary.”. Example for set mode: summary:set=”Overwite the existing summary with this text.”. Example for remove mode: custom.enumeration.list:remove=$,Unassigned. Which modes are supported and their behavior depends on the attributes type. Single value attributes typically support default and set mode, but not add and remove mode. Default mode for single value attributes is set the value. Multiple value attributes, such as lists and links, typically support default, add, set and remove mode. Default mode for multiple value attributes is add, which adds the value(s). Set mode for multiple value attributes removes the old values and then adds the new value(s). Remove mode for multiple value attributes removes the specified values that can be found. String values such as HTML, Summary, Wiki type attributes support default (same behavior as set mode), set and add mode. Please note, for the built in attributes this returns an internal ID that might not show up if you look into the process configuration. You can use the ID’s you find there too, the API should translate them correctly. The command create can be used to create a new work item and set its attributes. Here an example for creating a work item. The command will report back the ID of the newly created work item if the operation was successful. The command update can be used to update a work items attributes. Please note, if the process specifies additional required attributes, these need to be provided as well, otherwise the save operation will fail. This can be relevant if the state of a work item is changed. The command will report back the ID of the updated work item if the operation was successful. Some attribute types need special treatment or require more complex values to be specified. Some have other limitations and considerations. These are explained below. 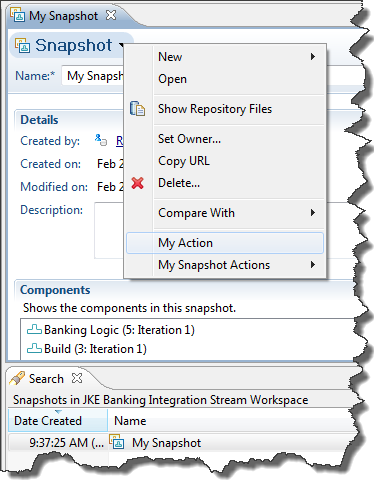 custom.teamarea.list="JKE Banking (Change Management)/Business Recovery Matters,JKE Banking (Change Management)/Release Engineering"
Please note, that this implies that the separator ‘,’ can not be part of any of the display names of the elements. Some special properties are protected from changing. Project Area: parameter “projectArea” can only be specified when creating the work item. It can not be set to a different value later. There might be other limitations imposed by the process e.g. against changing the creator of a work item. This attribute supports the modes default (same as) add, set and remove mode. wcl -update /ignoreErrors repository="https://clm.example.com:9443/ccm" user=ralph password=ralph id=111 internalTags:set="test1,test2" custom.tags="MyTag"
wcl -update /ignoreErrors repository="https://clm.example.com:9443/ccm" user=ralph password=ralph id=111  internalApprovals="approval:Please approve:ralph,deb"
wcl -update /ignoreErrors repository="https://clm.example.com:9443/ccm" user=ralph password=ralph id=111  internalApprovals="review:Please review:deb"
wcl -update /ignoreErrors repository="https://clm.example.com:9443/ccm" user=ralph password=ralph id=111  internalApprovals="verification:Please verify:tanuj"
wcl -update /ignoreErrors repository="https://clm.example.com:9443/ccm" user=ralph password=ralph id=111  internalApprovals="verification:We need a verification"
The implementation of the modes set and remove is as follows. Removal of approvals by either set or remove mode must be explicitly enabled using the switch enableDeleteApprovals, otherwise the command will fail if one of these modes is used with a internalApproval parameter. The mode set removes all existing approvals of the specified and then adds a new approval of this type as specified. The mode remove searches for all approvals of the specified and deletes those found with a matching the Approval Name. The WCL allows to set the state of the work item in different ways. Please note, the state is reached after the save operation, if it can be set. A pseudo parameter @workflowAction can be used to set a workflow action to change the work item state when saving. This attribute supports only the modes default and set. When using this pseudo parameter WCL looks up the current state of the work item, tries to find a workflow action with the given display name. If one exists, it sets the save operation to trigger this action when the work item gets saved. wcl -update /ignoreErrors repository="https://clm.example.com:9443/ccm" user=ralph password=ralph id=115 @workflowAction="Reopen"
Another example: @workflowAction=”Stop working” . Please note, the workflow change is governed by the RTC process engine. If RTC prevents the state change, the operation will fail on save. It is impossible to detect this prior to the save. Where is the value forceState. Without the forceFlag provided WCL acts similar to using the pseudo parameter @workflowAction. It looks up the current state, and checks if any workflow action from the current state exists, that leads to the specified target state. If there is one, it sets the workflow action to be performed during the save operation. If there is no workflow action the state change is not performed. wcl -update /ignoreErrors repository="https://clm.example.com:9443/ccm" user=ralph password=ralph id=111 internalState="In Progress"
If the flag forceState: is added before the target state, WCL uses a deprecated API to forcefully set the state. Please note, that this does not trigger a workflow action and does also not trigger operational behavior. It should be used with caution. If the target state exists in the workflow of the work item type, the state is set, regardless if it is reachable directly or using multiple workflow actions or even if it is not reachable by the workflow at all. wcl -update /ignoreErrors repository="https://clm.example.com:9443/ccm" user=ralph password=ralph id=111 internalState="forceState:New"
The resolution of a work item can be set using the attribute internalResulution. The parameter only implements the modes default and set, which act equal. The parameter value provided is the display value of the resolution. As above, must be unique for multiple attachments in one command. If only one attachment is uploaded, the can be left empty. The file must be accessible and in the correct encoding for the operation to perform correctly. As above for approvals the mode set is implemented to remove all attachments first and then add the new attachment. The mode remove is implemented to search for an attachment with the same file path and description and remove it if it is available. -update /ignoreErrors  repository="https://clm.example.com:9443/ccm" user=ralph password=ralph id=150 @attachFile="./Test.txt:Some Description:text/plain:UTF-8" @attachFile_2:add="./Test.txt:Some Description:text/plain:UTF-8"
-update /ignoreErrors /enableDeleteAttachment repository="https://clm.example.com:9443/ccm" user=ralph password=ralph id=150 @attachFile:remove="./Test.txt:Some Description:text/plain:UTF-8"
-update /ignoreErrors /enableDeleteAttachment repository="https://clm.example.com:9443/ccm" user=ralph password=ralph id=150 @attachFile:set="./Test.txt:Some Description:text/plain:UTF-8"
Where specifies the type of link to be created, for example reportAgainstBuild and the values on the right side specifies one target object or a list of target objects to be linked to the current work item using the link type. The separator used here is the pipe symbol ‘|‘. The reason is, that the links can be URI’s and the naming conventions are problematic. It is hard to find a character that is likely not to appear in that string. Not everyone sticks to the specification and the pipe symbol seemed to be appropriate. The parameter supports the modes default (same as) add, set and remove. Similar to other implementations above the mode set removes all links of the specified before creating the new links. The mode remove tries to find an existing link of the with the same target and removes this link, if it exists. There are different ways the links get created, dependent on what link type and what target elements are specified. wcl -update /ignoreErrors repository="https://clm.example.com:9443/ccm" user=ralph password=ralph id=150 @link_related_artifact="https://rsjazz.wordpress.com/"  @link_affects_requirement="https://clm.example.com:9443/rm/resources/_6c96bedb0e9a490494273eefc6e1f7c5" @link_tested_by_test_case="https://clm.example.com:9443/qm/oslc_qm/contexts/_6u2zcH-nEeSJhuhJc8_drg/resources/com.ibm.rqm.planning.VersionedTestCase/_N6HHYX-oEeSJhuhJc8_drg"
The following are supported from the current work item to a target work item. These links are local to the repository this work item belongs to. This means the value list is a list of work item numbers separated by pipe ‘|’ symbols. Please note, that if you try to create a link that can not be supported on the target end, save errors will show up. As an example if a target is set to be the child of this work item and that work item has already some other work item set as parent, the save will fail. The following are supported from the current work item to a target work item. These links can be local to the repository this work item belongs to, or to work items in another repository. The parameter value is a list of one or more work items specified by their ID (if they are in the same repository) or by their Item URI separated by pipe ‘|’ symbols. To understand the URI format, look at an existing link in the RTC web UI and inspect the link target. Wrong target formats can lead to corrupt data. CLM URI Links – CLM links between this work item and another item, described by a valid URI, in a different application or repository. The following are supported from the current work item to a target item such as a requirement, test case or test result. These links are across repositories and applications. The parameter value is a list of one or more items, that support this link type, specified by their Item URI separated by pipe ‘|’ symbols. To understand the URI format, look at an existing link in the RTC web UI and inspect the link target. Wrong target formats can lead to corrupt data. Please note that the link “Associate Work Item” between a change set and the work item can only be created by the SCM component. The link created here is the looser CLM link. Create the work item change set link using the SCM command line. Build result Links – Links from a work item to a build result in the same repository. The following are supported from the current work item to a build result. These links are within a repository. The parameter value is a list of one or more build results. The Build result can be specified by its Build Result Label or by the Build Result ID separated by pipe ‘|’ symbols. The parameter value is a list of one or more Buildresults specified by their ID or their label. The WCL distinguishes between build result ID and Build Label, add @ as prefix to the Build Result Label. Please note that the link includedBuild should only be created by the SCM system from the snapshot, it is only available for completeness. The WCL can be run as a local Java application. This is fine if only one work item needs to be modified. However, since each call requires the RTC API TeamPlatform to be started and the process takes around 6 seconds, this does not scale for a lot of calls, it is possible to run the work item command line in a RMI server mode on the same or a different machine. This server waits for incoming requests and only needs to initialize the API once. Called from another RMI client process, the server can process requests very fast and return the result. This can be achieved with two switches to set up the server and to delegate the call to the server. Where is one of the following values. By default the RMI Name used to connect to the RMI server is “//localhost/RemoteWorkitemCommandLineServer” using a default port of 1099 for the RMI registry. By providing the same naming in the rmiClient switch for the requested command, the connection can be established. If the WCL is started as RMI server, the process will not terminate, but RMI will listen to requests and delegate them to that process. It is not necessary to provide a command or any other input values, when starting the WCL in RMI server mode as they will be ignored. RMI will make the process available and call it to service commands requested by other client instances that are started with the additional switch /rmiClient added to the command that is supposed to be performed. Please note, that the server and the client require a policy file for the security manager. A policy file rmi_no.policy is shipped with the download. The policy file opens up everything. To enable security Java requires to call the class with the additional vm argument -Djava.security.policy=rmi_no.policy where the policy file name must exist and be readable on the server and on the client side. Aliases for attribute ID’s have been coded into the application. You can add your own aliases in the mapping table. In later posts I will explain the code for users that are interested in adding their own implementation. Please refer to the new Version of the RTC WorkItem Command Line. The code has been enhanced and received a lot of testing and will be the basis for future efforts. I have seen many requests to be able to create and update work items from a command line in the forum. There are enhancement requests and a story for it in the Rational Team Concert development repository. I had a lot of the required code already available and thought I should provide a solution if possible. This post provides a simple Work Item Command Line Client and explains the usage. It comes with code, so you can also enhance it if you need more features. The WorkItemCommandLine – in short WCL – works on Windows and Unix clients. It requires a JDK and the Plain Java Client Libraries to be installed. The WCL allows to set and update almost all available attribute types. The only attribute types currently not supported are Item and ItemList, where the type of the item is not specified or where the type is an SCM object. This might get implemented in the future. The problem is that the syntax needs to be able to specify what Item Type to look for in order to implement this, and to include the SCM component for searching. Please note, for List attribute types it is currently only possible to set the list, unless described otherwise in the help. I am looking into a common parameter value encoding that can help more flexibility with being able to add and remove items as well. The script assumes an install structure where the JDK and the Plain Java Client Libraries are installed like in the image before. If your setup uses different paths, adjust then according to your setup. On Unix operating systems chmod the shell script so that it is executable. ignoreErrors allows to successfully perform the create and update command if minor errors happen. For example if an optional attribute or its value was not found. If the flag is not provided any error will cause the operation to fail. The parameter sections <parameter>=<value> must not have spaces in the <parameter> or in the <value> or before or after the =. You can enclose the value of <parameter>, <value> or the whole term in quotation marks. For example projectArea=”JKE Banking (Change Management)”. The WorkItemCommandline also defines various pseudo attribute names e.g. to upload files as attachment. Each <parameter> can only be used once in the command line. In some cases like attachment uploads a special section needs to be added in the parameter to allow for multiple specifications. The WorkItemCommandline also has an alias mechanism built in, that allows to map different external names for attributes to the internal representation. Currently the names of the AttributeCustomization described here are built in. This allows, for example, to use FOUND_IN=”Sprint 2 Development” instead of foundIn=”Sprint 2 Development”. You can add your own aliases if needed. Parameter values <value> are usually the display value of elements. For example setting an enumeration attribute would use “High” instead of the literal ID. This makes it easier to use. In some cases e.g. for links, subscriber lists and other user lists, it is necessary to specify the ID of the element instead of the display name. The help given by the tool should be enough to figure out how to use it. However, here some more details and examples. To set work item attributes, wcl needs the ID of the attribute. You can look up the ID of an attribute in the process configuration. The command printtypeattributes prints the attribute ID’s for the built-in and for the custom attributes of a work item type in a project area. The command requires, in addition to the repository URL, the user and password, at least the project area and the work item type to create. Please note, if the process specifies additional required attributes, these need to be provided as well, otherwise the creation and save operation will fail. The command requires, in addition to the repository URL, the user and password, at least the ID of the work item to update. Please note, if the process specifies additional required attributes, these need to be provided as well, otherwise the save operation will fail. This can be relevant if the state of a work item is changed. Please note, that this implies that the separator can not be part of any of the display names of the elements. The WorkItemCommandline allows to set the state of the work item in different ways. Please note, the state is reached after the save operation, if it can be set. wcl -update /ignoreErrors repository="https://clm.example.com:9443/ccm" user=ralph password=ralph id=115 workflowAction="Reopen"
In addition the attribute internalState can be used to set the state. In this case wcl looks up the target state and tries to reach the state, using any available direct workflow action. If there is no workflow action the state change is not performed. If the flag forceState: is added before the target state, wcl uses a dprecated API to forcefully set the state. Please note, that this does not trigger a workflow action and does also not trigger operational behavior. It should be used with caution. Where the <uniqueID> is optional, but must be unique if multiple attachment uploads are specified, the <pathToFile> needs to exist and be accessible, the description is some string. The values for <contentTypeID> and <encodingID> need to match the file. wcl -update /ignoreErrors repository="https://clm.example.com:9443/ccm" user=ralph password=ralph id=111 attachFile="./Test.txt:Some Description:text/plain:UTF-8" attachFile_1="./LintResult.txt:Lint result:text/plain:UTF-8"
wcl -update /ignoreErrors repository="https://clm.example.com:9443/ccm" user=ralph password=ralph id=111 internalTags="test1,test2" custom.tags="MyTag"
This WorkItemCommandLine should allow for most of the automation needs when creating work items. In addition it is a nice resource for the RTC work Item API. If my schedule allows, I will enhance it to support the missing types and potentially some export and import options. Is it possible to hide UI Elements in the RTC Eclipse client? This is a question I have been asked several times already. I always thought it would only be possible to add new UI elements but not hide them. Javier’s initial question and his example on Jazz.net prove that I was completely wrong. Sorry, but I was simply not aware of this capability. This is interesting, because if you want to extend the RTC Client UI with context menus, you might want to also be able to remove existing UI elements like context menus. One use case is described in Javier’s question and example. Another example could be to do some checking before someone can complete a change set in the RTC Eclipse UI.There is no extension point that you can use to prevent completing and once it is completed, you can’t reverse the operation. If you could remove the context menu entry and provide a new one that does some checking before calling the original action, you could greatly enhance this scenario with very few effort. Javier’s example shows how this can be done based on Activities in Eclipse extending the org.eclipse.ui.activities extensionpoint. Now you can enable and disable the UI elements defined by this Activity. If you don’t enable an activity, the UI element is hidden. Dependent on how the Activity is defined, there are different ways to enable and disable the activity, for example using Categories in the preference, or the Activity API. In addition there is an expression based activation mechanism. See the Eclipse Documentation for Activities for more information. Lets stay in the area of the example with completing a change set above. We want to disable the context menu entry for the complete Change set action. First it is necessary to create the plugin and to create the extension for the Activity. 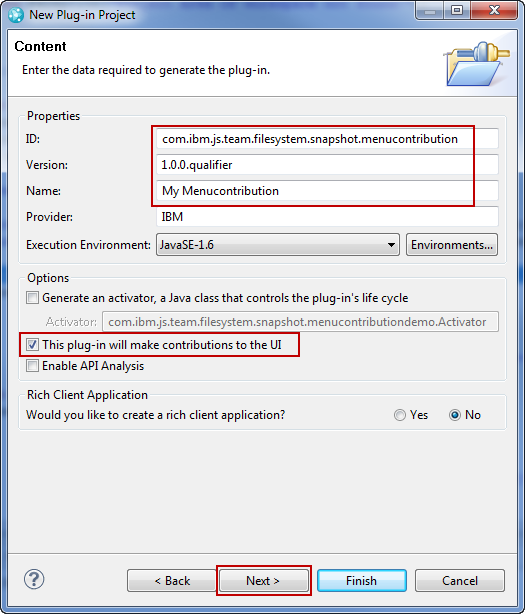 Create the plugin with the name com.ibm.js.team.activity.scm.cscomplete for example. Add an extension to the org.eclipse.ui.activities extension point and use com.ibm.js.team.activity.scm.cscomplete.activity as the id of the Activity. Now it is possible to add a new activityPatternBinding for the menu item to be hidden and bind it to the the Activity com.ibm.js.team.activity.scm.cscomplete.activity defined before. The plugin.xml looks like below. This is now the challenge. Where to get the ID’s reqired? As described in the last post, it is possible to use inspection tools such as YARI – Yet Another RCP Inspector, to get this data. By using the Yari SWT Inspector this information can easily be gathered. Prepare an outgoing change set in the pending changes view. Open the SWT Inspector and set it to mouse down capture mode. Then select the Complete action on the context menu entry. Disable capture mouse down and inspect the data captured. This screenshot shows the data that was gathered. The interesting information is the ID of the action and the ID of the plugin. This data can be copied and pasted over to create the pattern. The plugin Id is com.ibm.team.filesystem.ide.ui and the Id of the action to hide is com.ibm.team.filesystem.ui.changes.actions.CloseAction. The final plugin.xml looks as follows. If this plugin is deployed, the complete change set action does not appear any longer in the context menus, as long as the Activity does not get enabled, e.g. using the API. Does this mechanism also work for the RTC Web UI? I am reasonably sure that this is not the case, unfortunately. This allows to further modify the UI of the RTC Eclipse Client (or any other Eclipse based UI’s) and to easily hide UI elements. Since it is also possible to add your own UI elements this allows a fine grained modification especially in the context of extending RTC. As always, I hope this content helps others out there to get their work done. Is it possible to add customized actions to the context menus in Eclipse? This is an interesting question that recently came up in the context of my work. * Update * If you need to get rid of menu entries, check this post. As always, the code in this post is derived from examples from Jazz.net as well as the RTC SDK. The usage of code from that example source code is governed by this license. Therefore this code is governed by this license, which basically means you can use it for internal usage, but not sell. Remember that this code comes with the usual lack of promise or guarantee. Enjoy! The example adds a context menu action on snapshots. It provides an example for an action directly in the context menu as well as an example for a sub menu that can be used to organize several actions. The outcome looks like below. If the action is performed, the example will get the object and do something with it. All these capabilities are described in numerous books about extending Eclipse and in even more tutorials available on the web. This article describes how to create menu contributions. I won’t go too deep into what is covered in these information sources. Instead I will try to focus on the interesting topics related to RTC. So, if this is all possible, why blog about it here? The problem is, that all these extensions require information about the objects and editors you want to extend. As an example a pop up menu contribution providing an action to the context menu of a view requires the class of the object that is provided in the tree node to work. Without this information you can’t do anything. I found it very hard to get the information in the past. You can obviously start with a very general object and try to debug. However this can be very tedious. How can you find this information more efficient? The answer to that is using tools available to find the information. I will show some of the tools available and how they can be used. Lets get started with creating our example. We want a pop up menu extension that allows to perform some action on a snapshot in some views. The easiest way to start is to use the Plug-in Project wizard Use File>New>Project and create a Plug-in Project. Pick a good project name. As a best practice I always use a naming pattern that is aligned with the naming patterns used in Jazz, adding a unique infix that will later allow me to search for the code in case it is deployed. As an example I use com.ibm.js.team.filesystem.snapshot.menucontribution. Then use Next to go to the next specification step. As a best practice use the name as ID and specify the other values. The image below shows my choices. Use Next to get to the extension templates. Select Plug-in with a Popup menu and click Finish. The wizard does its miracles and you now have a new project. Inspecting the project reveals a plugin.xml and a new action class have been created. The project is fully functional. 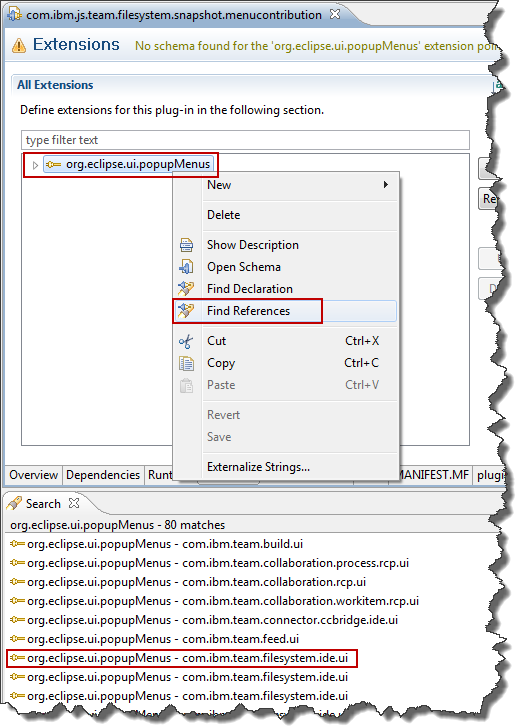 It would be possible to start an Eclipse Client Debug run-time and find a new pop up menu if clicking on a file in the Eclipse Navigator, Project Explorer or other views. If you click on a snapshot in the search view, you see – nothing. However, that is not our target. What makes this work and what needs to be done to make this work for the given example? The extension is an object contribution. It works for objects displayed in views that are of the class org.eclipse.core.resources.IFile. The menu defines a sub menu that is inserted before a place called additions and defines a new menu group group1. The Action in this sub menu enables for selections of one element and calls the specified action class. A snapshot is not of the class org.eclipse.core.resources.IFile. So much is clear, but what class do we need here? One way of finding out this crucial detail, that works for me, is using one of the many Eclipse inspection tools. I found YARI – Yet Another RCP Inspector searching the Web due to a hint and use this tool since then. It needs to be installed into Eclipse as described in the install instructions. Once installed it provides various new views that you can use to inspect Eclipse RCP applications, including Eclipse itself. The data it provides can be overwhelming at times, but is very useful. Use the documentation and FAQ’s provided to understand better what you can find in the data. To find out what is exposed in the search view for a snapshot, open the view SWT Inspector that YARI provides. Now search for a snapshot. Select the ‘capture mouse down‘ action in the SWT Inspector and click on the snapshot in the search view. Click at the ‘capture mouse down’ action in the SWT Inspector again, to switch it off. Now you can look at the captured data and use the mouse without capturing again. Look at the captured data. The data node in the TableItem element is what we need in this context. The class that is exposed here is class com.ibm.team.filesystem.ui.wrapper.SnapshotWrapper. This is basically the class that we need in the object contribution. 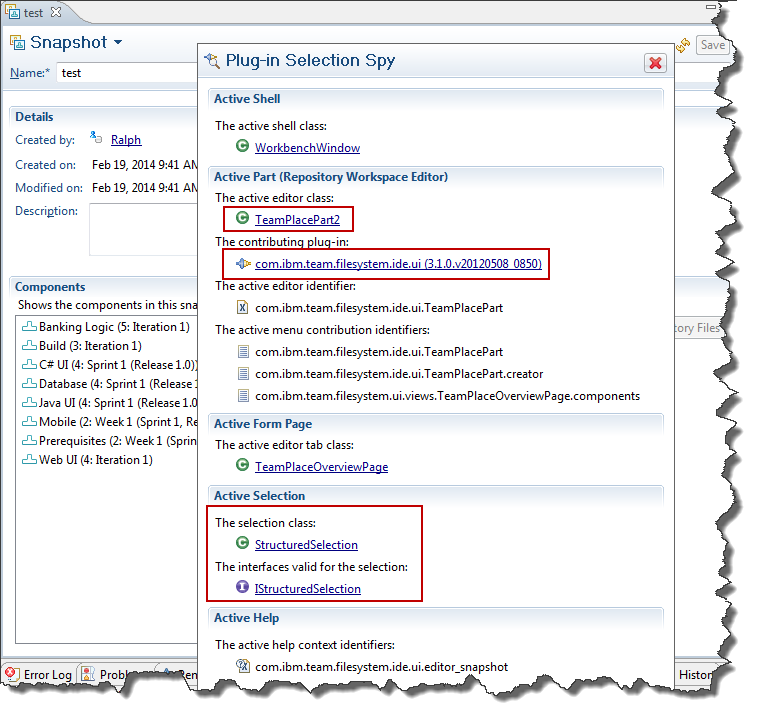 Another Tool, that you can use to look under the covers of Eclipse extensions, is Plug-in Spy. This tool is now bundled with Eclipse in the Plugin Develupment Environment (PDE). You can invoke Plug-in Spy using SHIFT-ALT-F1 on a window. It tells you information such as which class provides the editor and what plugin contributes it. This is useful e.g. to find out how the Editors work and what API they use. We don’t need this information for the example, but other cases have proven this to be useful. You can also, from the extension in a plugin.xml search for Plug-in Referencs. This shows other plug-ins that extend the same extension point. Since RTC does this, you can find and open related plugin.xml files and look for contribution classes, editor id’s and other useful information. In this case com.ibm.filesystem.ide.ui is the best candidate to look at first. We don’t need the information for this example, but other examples would require to look here. After renaming the acion class – and making sure that the new class name is actually correctly used in the plugin.xml – modify the plugin.xml to show menu captions as desired and add another contribution that directly contributes to the context menu, without creating a sub menu. After the modifications the plugin.xml looks as below. Both contributions are very similar. The difference is that the first contribution in the XML creates a new sub-meu and maps the action on to the menubarPath for this sub menu. The second contribution maps an action directly into the menubarPath ‘additions‘. The order these contributions will show up in the menu is actually the reverse order of their definition in the plugin.xml. Please Note: Don’t ask me how this works in detail. I just know enough and have example pattern that work for me. If you need more information search the Web for articles or find a good book about it. What is left is to actually do something in the action. 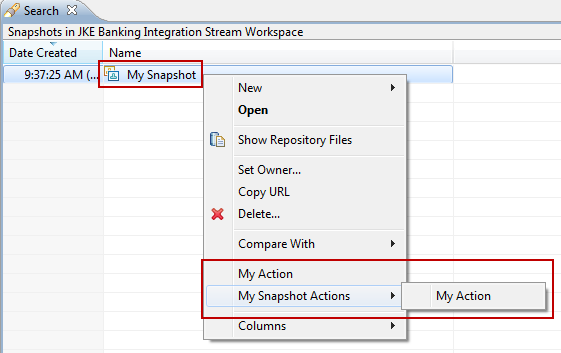 The code below shows the class SnapshotAction that executes if the pop up menu is selected. Most of the code that actually works with the API is left out, because it is not that interesting. The code below can easily be used as a starting point for any menu action for any RTC object. "My Action was executed on Snapshot: '"
e.getMessage() + "\nMy Action was executed on Snapshot: '"
Lets look at the interesting parts first. The class implements IObjectActionDelegate. This is an interface of the Eclipse framework that is always used for this type of actions. The method selectionChanged() is used to get the selected element(s). It is called when selecting elements for the contribution. The code is fairly typical and can also be refined to get a list of selections. The code inspects the selection, uses IStructuredSelection to get at the elements, and checks that the correct class is passed, casts the input and stores it in a field. The method setActivePart() is used to store some information about the UI that can be used later. Some UI elements such as message dialogs need the current shell. Others need the target part. These values are stored in fields. The method run() finally is called when clicking the action. The interesting parts of this method are getting the snapshot from the wrapper and then getting the UUID. Another interesting piece of code is to get the ITeamRepository. The code uses the method getOrigin() available from all RTC data objects and gets the team repository of the selected element. Keep in mind, the client could be connected to several different repositories and we want the one that contains the selected element. Once we have the ITeamRepository, it is possible to get client libraries needed for the areas of the API. The code would do something to the selected element, or search for related elements and then perform some action with it. This code is left out in the example. The example shows a dialog window coming up on the end of the action or in case an exception occurred. Some interesting code we found during our work on Jazz.net is how to open a work item editor for a work item in the UI. The code runs on a query result as described in the posts Using Expressions For Automation or Using Work Item Queries For Automation and opens the work items found in the Eclipse UI. The example above shows how you can add menu contributions for RTC objects in Eclipse and also, how to get the information needed. Interestingly the menu contribution also works in the Snapshot editor context menu. As always, the code is very simple and has very few error handling implemented. You want to improve on that. However, I hope the example is useful for others out there trying to extend RTC. Yesterday I was asked to help a project that is incrementally migrating to Rational Team Concert with a small command line tool allowing to add comments to a work item. The team has switched to work items already and this tool is supposed to be used in some automation and called from another tool that is not yet replaced by RTC. I had not yet worked with work item comments that much, except printing them and was interested in understanding how hard it would be to find the API involved. I made some nice experience doing so, which I would like to share. To keep it simple this example is as many others in this blog based on the Jazz Team Wiki entry on Programmatic Work Item Creation. The example shows client API. As always, our lawyers, reminded me to state that the code in this post is derived from examples from Jazz.net as well as the RTC SDK. The usage of code from that example source code is governed by this license. Therefore this code is governed by this license, which basically means you can use it for internal usage, but not sell. Please also remember, as stated in the disclaimer, that this code comes with the usual lack of promise or guarantee. As usual I decided to go with a WorkItemOperation to add the comment and update the work item. To do that, I created an inner class WorkItemAddComment extending WorkItemOperation. Well, to tell the truth, I grabbed the whole initial code from another example like published in Upload Attachments To Work Items. Then I looked into implementing the execute method, that is called when the operation is performed. Since I did not have code other than printing comments, I first used IComments comments = workItem.getComments() to get the comments. Now I needed to find the API to create an IComment. So I used search for references as described here to look at references where IComment was created. Surprisingly I found the interface IComments provides the createComment() method.I could have found it right away if I had looked. But the learning here is, if you set up your environment as described here and here, and follow the tips to search, you can easily find it. Not much brainpower needed here. The createComment() method needs an IContributor object for the person that is named as creator of the comment and an XMLString for the comment itself. I decided to change the constructor of the operation to pass an IContributor and a String and store them in fields, to have them available in the execute() method. Finally it is necessary to add the new comment to the comments retrieved from the work item. All the save and update mechanism is handled in the WorkItemOperation. To be able to update the work item in the execute() method, the constructor also needs to pass a load profile to the superclass. I started with using the full profile but optimized it later to load with a custom load profile based on the small profile with the Comments property as extension. The resulting code is shown below. The new operation takes two parameters in the constructor. The operation gets called and executed like below. To call the code above, we need to get the user creating the comment and the work item to update. My final direction was, that I wanted to be able to just provide the repositoryURI, the credentials to log in, a work item ID and a comment string to be able to create the comment. In this scenario the user that runs the command line tool would be creator of the comment. As an enhancement I wanted to be able to pass the user ID of the creator of the comment. What it does, is checking and getting the parameters first. The code then logs into the repository. If a second user ID is available for the commenter, the code tries to get the related contributor. If this fails the code falls back to the automation user ID by getting the IContributor logged in. Then the code gets the IWorkItemCommon client library to find the work item by the ID passed in the call. If all succeeds the operation is called to update the work item and we are done. You can grab the rest of the code from Upload Attachments To Work Items. The code is also available in the Jazz In Flight project at JazzHub in the project com.ibm.js.team.workitem.automation.examples in the Extension Development Stream in the RTC PlainJava Automation component. Once you have access you can get the code. You can also request to join the project and provide your own solutions there. The code can be called like below from the command line, provided JAVA_HOME is set and the Plain Java Client Libraries are installed in the second location and the code is compiled. The code below can be placed in a batch file which is called in the root of the eclipse project. 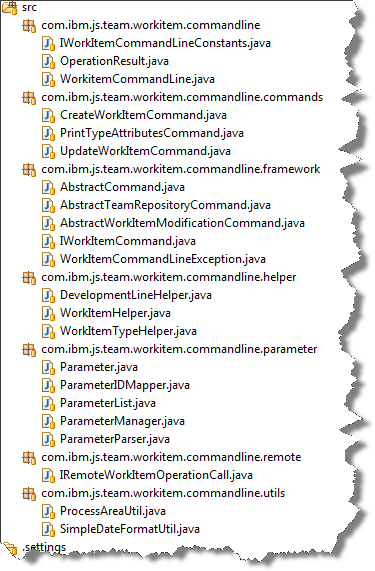 %JAVA_HOME%/jre/bin/java -Djava.ext.dirs=%JAVA_HOME%/jre/lib/ext;C:/RTC403Dev/installs/PlainJavaAPI -cp ./bin/ com.ibm.js.team.workitem.automation.examples.ModifyWorkItemAddCommentOperation "https://clm.example.com:9443/ccm" "ralph" "ralph" "54" "Add a comment"
See the README.TXT in the snippets folder of the Plain java Client Libraries for instructions for UNIX like operations systems. Please Note: I had to explicitly point to the JRE, if the JDK did not provide an lib/ext folder. As always I hope this code is useful to anyone. I also hope that the tips on searching the API helps others to explore the API as well. Please keep in mind, the code is not thoroughly tested and might need some polishing if you want to use it.